Microsoft’s upcoming software for Windows Phone, dubbed “Apollo”, will offer integration with Skype and Windows 8, according to internal video uncovered by Pocketnow. 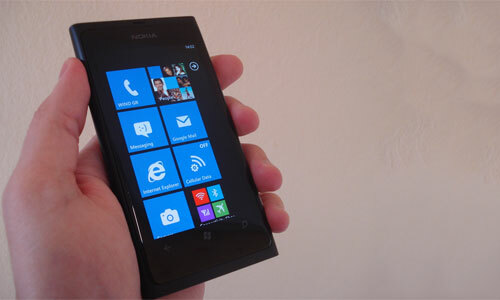 The Windows Phone OS will have a make-or-break year in 2012, and it’s already off to a good start by being featured in Nokia’s anticipated Lumia 900 smartphone and a few other powerful devices that were pushed by CEO Steve Ballmer at CES 2012. Another big update to the phone’s software to support more features will likely help the platform attract more people. The internal video from PocketNow covers new features that can be expected with Windows Phone 8 software, including multi-core processors, four different screen resolutions, microSD storage, and even near-field communication support for mobile payments. We’d previously heard that a Skype application for Windows Phone was coming soon, and that still appears to be the case with this leak. Skype, which was officially acquired by Microsoft as of October , still doesn’t have a Windows Phone app, but it will have very good one soon. It will be optional and not be directly integrated with the operating system.